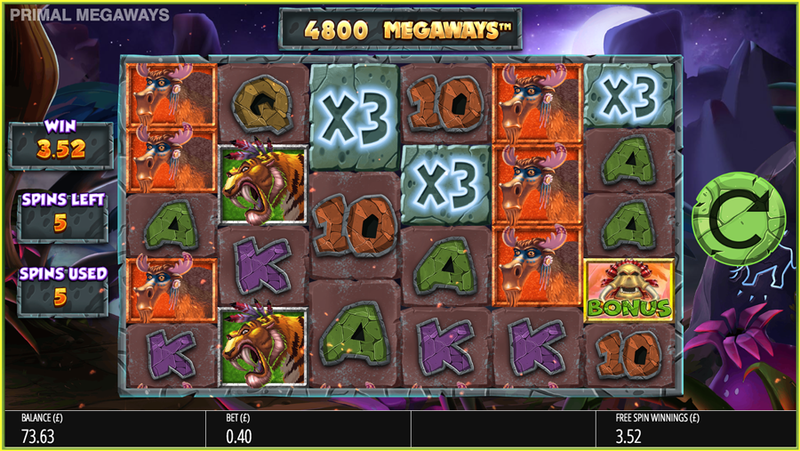 Primal Megaways is yet another new release from Blueprint utilising the licensed Megaways engine from BTG. 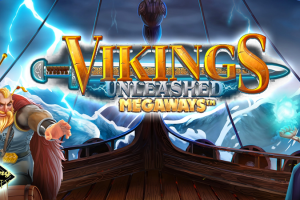 I only recently reviewed Vikings Unleashed from the same provider with the same Megaways mechanics and to be honest I was very impressed, straight away I can see that Primal Megaways is going to have a different maths model with the 46,656 ways to win compared to the usual 117,649 ways you get with Megaways games so I’m keen to see how this affects the slots variance. 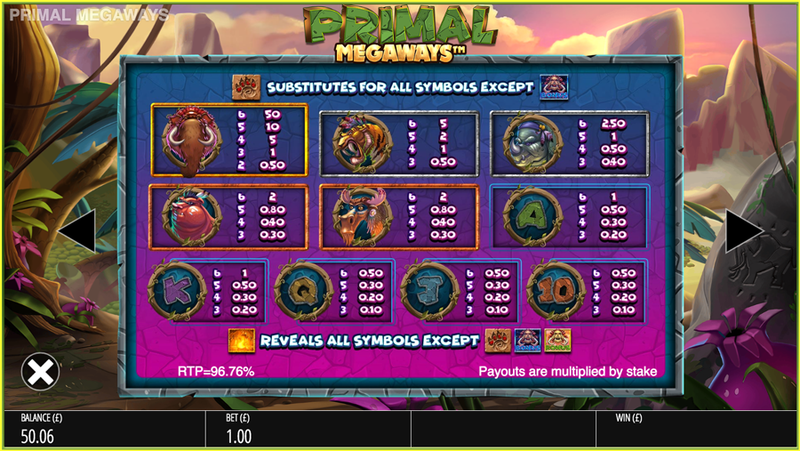 Primal Megaways is an all ways pay slot and has a 6 reel by up to 6 rows setup giving you the potential for 46,656 ways to win, during the base game the only extra is the mystery symbol feature where they all disappear and reveal the same symbol, just the same as the hammers in Vikings Unleashed or the TNT symbols in Diamond Mine. 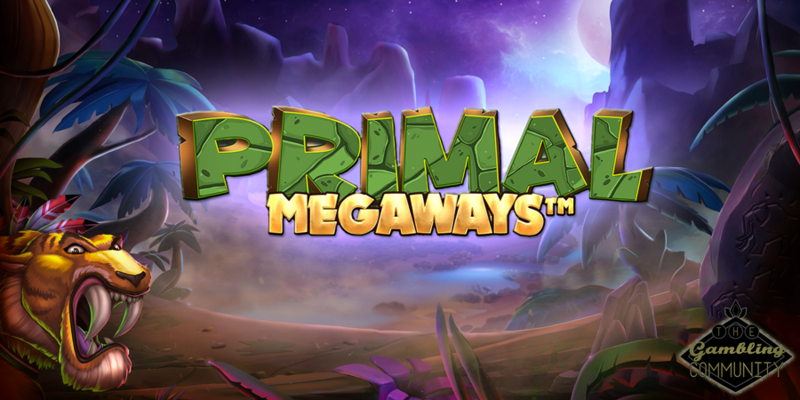 The main feature in Primal Megaways is the free spins round which is triggered for landing 3 or more scatters, for 3 you get 10 spins and multipliers of 2x or 3x, 4 scatters gives you 15 spins and multipliers of 2x, 3x or 4x , 5 gives you 20 spins and multipliers of 2x, 3x, 4x or 5x and for 6 scatters you get 30 free spins and multipliers of 2x, 3x, 4x, 5x and 6x! 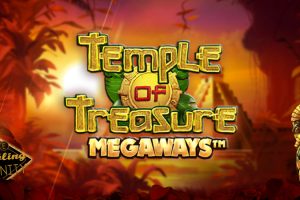 During the free spins you can have a mystery multiplier land on any of the last 5 reels and if you got the best combination which is 5 of the 6x multipliers your win would be multiplied by 7776 times which gives this game a huge max win potential, so huge that it’s capped to 50,000x your stake which Id happily take, capped or not! The multiplier also counts against every win on the screen, not just the wins its a part of, a great extra by Blueprint. 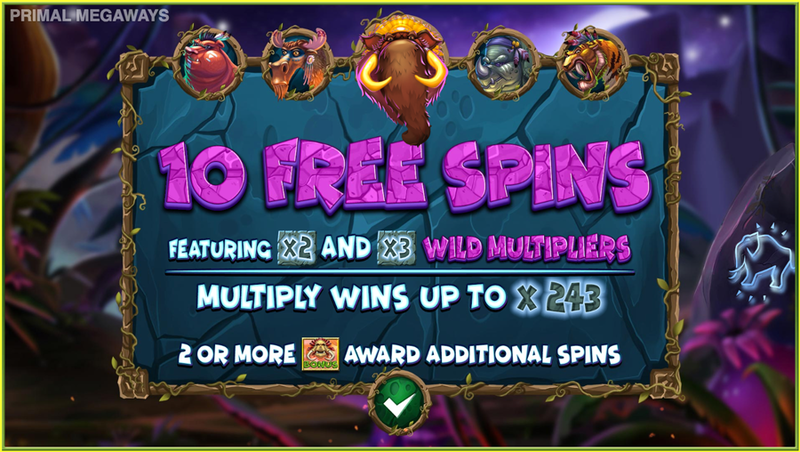 The feature can be re-triggered with just 2 scatters during the free spin round and there is another interesting twist to this bonus, if you don’t make at least 10x your stake on the free spins you get another 10 spins, this can happen over and over again and won’t stop until you win more than 10x, now this is a very nice feature in my opinion as its not just a bonus guarantee, its another set of spins where you could potentially hit the jackpot multipliers with a premium, top marks again to Blueprint. 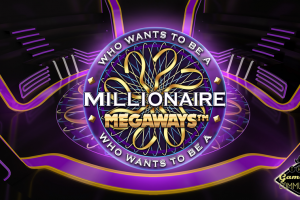 The paytable in Primal Megaways is straight forward and to the point, it simply tells you in multiples of your stake what each win is worth. Starting with the worst first we have the 10’s, J’s and Q’s paying just half your stake back for a full way, the K’s and A’s pay double that at 1x, the Moose and Warthog pays 2x, the Rhino pays 2.5x, the Tiger pays 5x and the top symbol of the Mammoth pays a huge premium of 50x for a full way, this is such a premium that with just 2 of these symbols and 5 of the 3x multipliers your going to smash the 50,000x max win cap and thats only 1/30th of the games potential! It is a really great bonus and to be honest the extra Megaways are not missed at all. 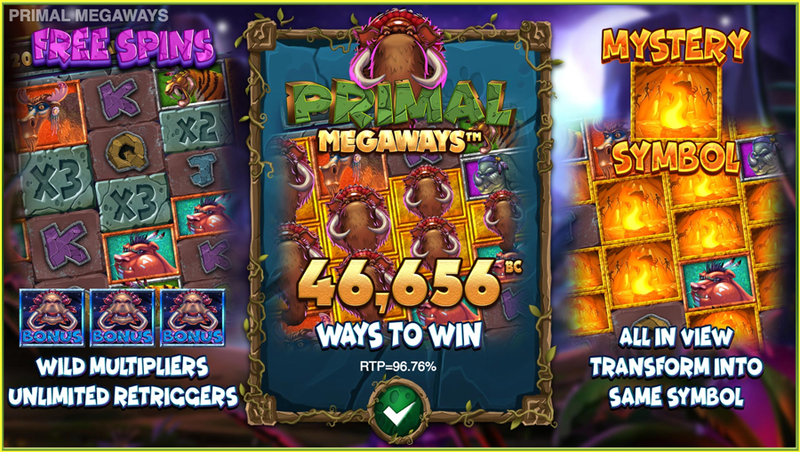 Primal Megaways has an RTP of 96.76% and its safely in the high variance category, its almost like a better looking, better playing, better paying version of Raging Rhino which I’v always had a soft spot for so I’m a big fan of this release and it’s definitely one I’ll play in the future. The sounds and graphics are a work of art and the whole package get’s full marks from me, I’d happily recommend it to any one who enjoys slots with big win potential, to me this is up there with Danger High Voltage, thats how good it is! Thanks for reading and theres a link below if you fancy a spin, good luck.